Hospitals, nursing homes, retirement homes, and similar facilities have of course very specific requirements on the electrical installation with respect to both functionality and hygiene. JUNG provides sophisticated and tailored solutions ranging from antibacterial special sockets to emergency and light systems. 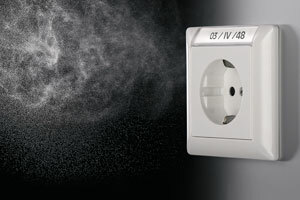 Safe cleaning: Especially for the particularly high hygiene requirements of hospitals and nursing homes, JUNG has introduced moisture-proof writing spaces for selected switch ranges. These form one single entity with the frame thus preventing any cleaning agent from ingressing into the writing space and the damage to the labelling associated with the cleaning agent ingress. These may optionally be used with or without backlighting. However, backlighting definitely improves readability even in a dark patient room. Simply avoid the risk of infection: Wherever large numbers of people gather, the risk of infection with germs is particularly high. 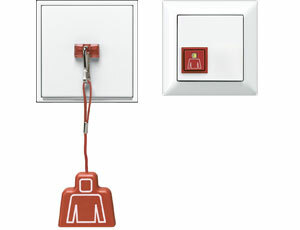 Here, merely using a light switch is often already sufficient to catch the disease. For these can be breeding grounds for bacteria, viruses and germs. Here, the JUNG AS 500 antibakteriell special switch range provides efficient protection: The special material technology removes the germs nutrients thus effectively impeding the multiplication of bacteria and fungi. To do this, the duroplast material is blended with real silver ions in an innovative production process. The reproduction and mutation of germ cells is prevented by the anti-microbacterial characteristics. In this way, the risk of new, resistant strains of bacteria forming is also reduced. Systematic guidance: In the expansive area of a hospital, patients and visitors need clear indications to be able to find their way around without any problems. Info signs and light signals using advanced LED technology provide dedicated guidance. 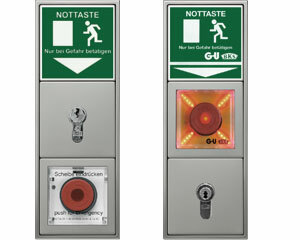 Whether the way to the right station or to the cafeteria, whether the sign showing the way to the operating theatre, or the directory for the patients in the waiting room: Backlit with colours and showing letters or clearly visible pictograms, the JUNG LED components instantly catch one's eye. And to always keep the staff informed, which unit is connected to which outlet and which switch is used to enable which equipment, backlit lettering areas provide optimum identification that can be read even in the dark. When the patient needs the help: Whether as an emergency call in toilets and bathrooms or as a nurse call in the room, appropriate emergency systems are an important part of the communication between staff and patients in everyday hospital operations. Thanks to the visual and optical signals, the sophisticated JUNG emergency set ensures that help will quickly be available in case of emergency. Moreover, leading manufacturers of nurse call systems incorporate their technology into the JUNG design ranges so that the electrical installation in patient and staff rooms has a uniform appearance. 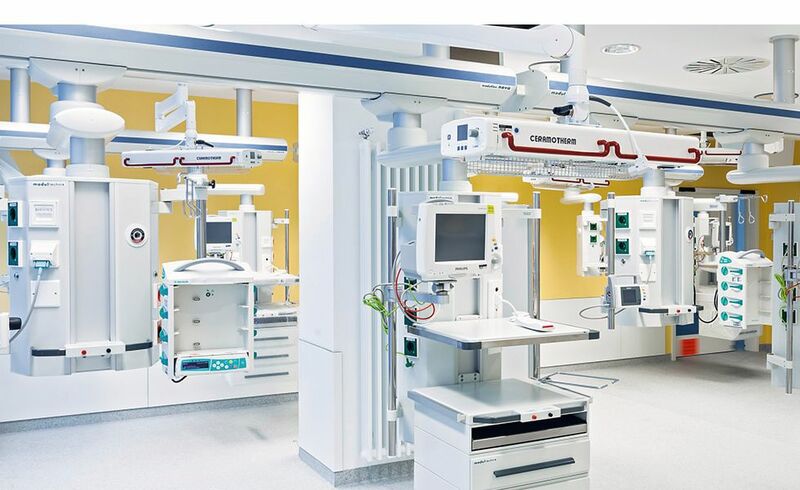 Safety is a top priority in hospitals, also when connecting electrical equipment: Whether equipped with potential equalisation for the use in the operating theatre, for special circuits, or with indicator for voltage monitoring – with the sophisticated sockets, JUNG provides advanced technology also for this type of applications that complies with major standards and offers maximum convenience and safety for staff and patients. Clears the way: In most cases, there is no hand left for opening doors, when beds or wheelchairs are moved through hospital corridors. So-called "oversize rockers" provide a simple solution. Due to their large operating surface, they may easily be operated in passing to conveniently open the automatic doors. Thus the way will quickly be cleared and the staff may still concentrate on the patient. Türsteuerung im JUNG Design: Viele namhafte Hersteller von Türautomation und Zugangskontrollsystemen bauen bevorzugt JUNG Komponenten als Bedienelemente in ihre Anlagen ein. Damit erhalten die einzelnen Produkte und Systembausteine eine einheitliche Optik, die sich nahtlos in das Schalterdesign integriert und Ihnen so eine harmonische Gestaltung im gesamten Klinikgebäude ermöglicht.